I find music to be the most amazing and beautiful art anyone could experience. To me it speaks of every level of the human condition and the best thing is everyone can access it. As music is so personal and enjoyable I encourage everyone to learn and develop musical attributes on whatever level and see for themselves how much of an enriching skill it can be. I have achieved Grade 2 Practical Piano exam with 93 marks out of 100 and also Grade 5 London College of Music (awarded by the University of West London) Theory of Music exam with 95 marks gaining a Distinction. Outstanding tuition! Being taught by Dr Spacie is always a pleasure and a fantastic musical experience. 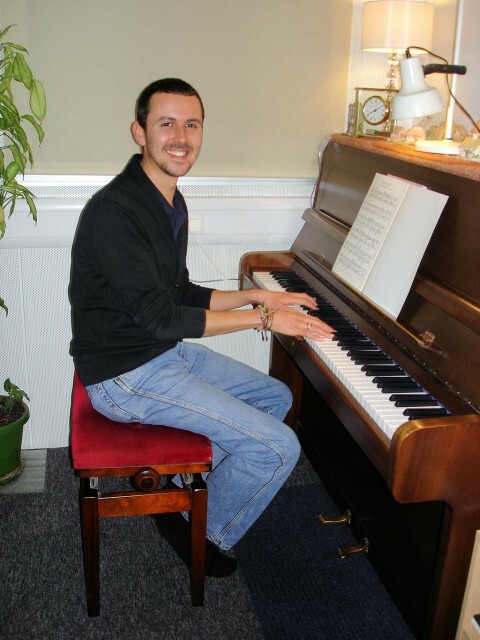 It really is absolutely fabulous tuition and a truly great musical experience. I have nothing but the utmost respect for Dr Spacie and I am forever thankful for all he has taught me.